Using footage from previous conferences, we developed this video to help promote the client’s upcoming annual event. 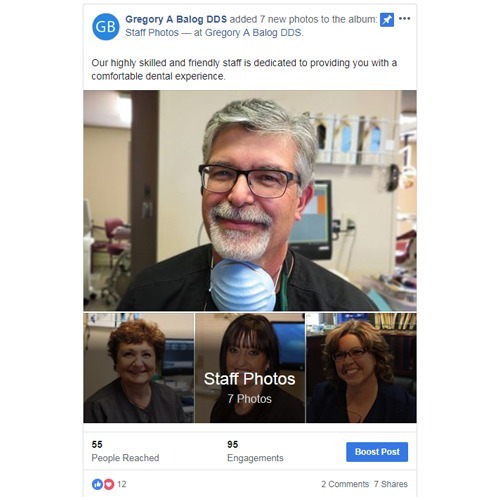 Took photos of a client’s place of work including interior, exterior and staff photos for posting on social media, Google My Business and for incorporation into the website. Using clips from speakers at previous events, we developed this video to promote a new event taking place in 2016. 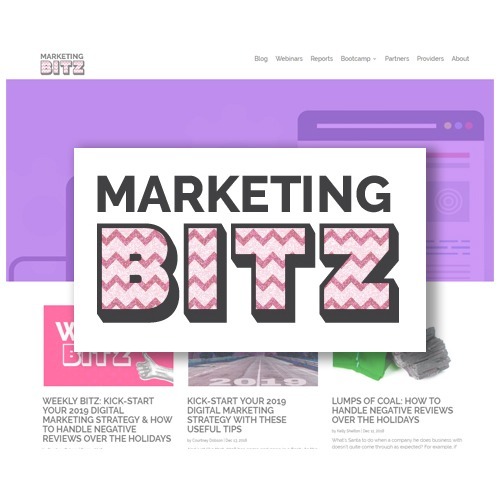 We conducted a series of interviews exploring the challenges small businesses face with digital marketing and used this material to promote the client’s small business marketing events. 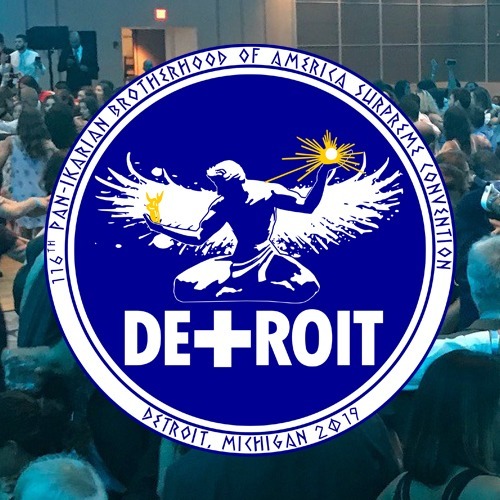 Developed the website for the 116th annual Pan-Icarian Brotherhood of America Supreme Convention in Detroit. The event brings together Greek-Americans with familial roots in the Greek island of Icaria for a weekend of dancing, socializing and organizational meetings. 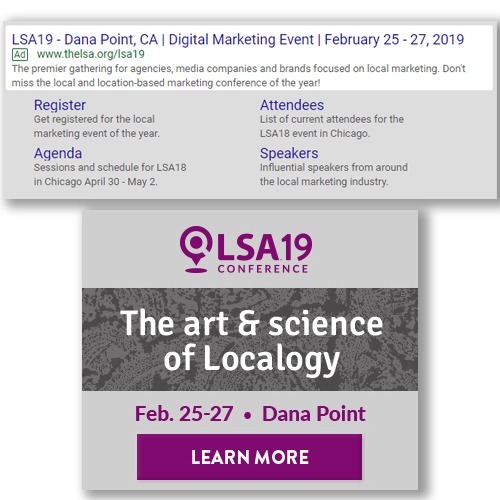 Created the event name for a live event exploring advanced local marketing tactics. Developed the website and worked closely with the client’s design team to create the logo and associated graphic materials. 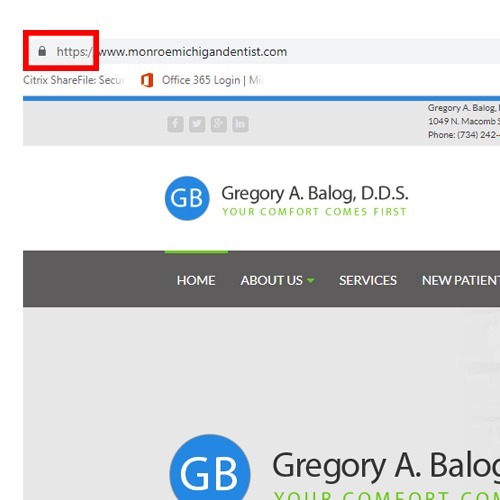 Added an SSL certificate to our client’s website which not only makes for a more secure browsing experience, but also aids in SEO. Created the brand name for a website that educates small businesses on the fundamentals of digital marketing. Developed the website and worked closely with the client’s design team to develop the logo and associated graphic materials. 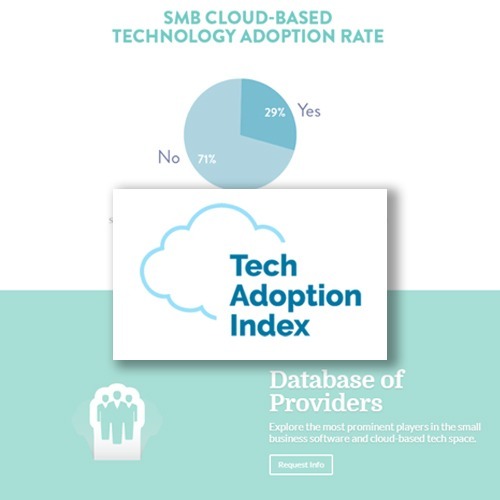 Created the brand name for a bi-annual survey of small businesses exploring usage of new technologies and software. Developed the website and worked closely with the client’s design team to develop the logo and associated graphic materials. 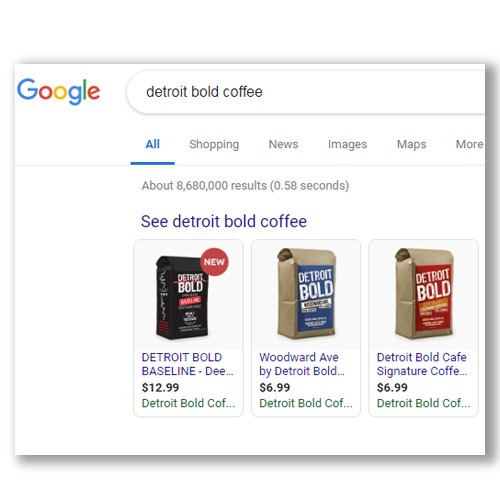 By claiming and verifying listing information on a variety of key listing sites, our client’s business info is more accurate and consistent aiding in an improved search engine ranking. 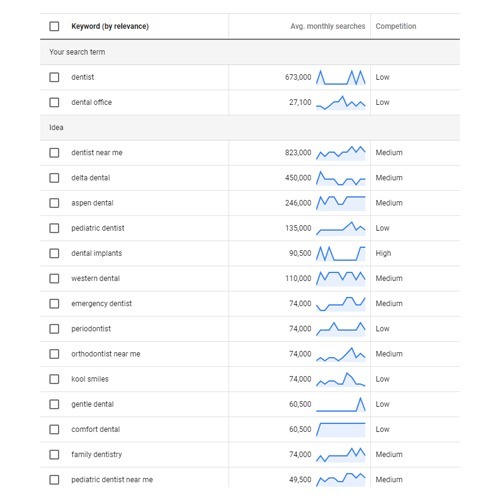 With a better sense of what consumers are actually searching to find our client’s business online, we integrated a series of these keywords and identified new keyword opportunities that we were missing. 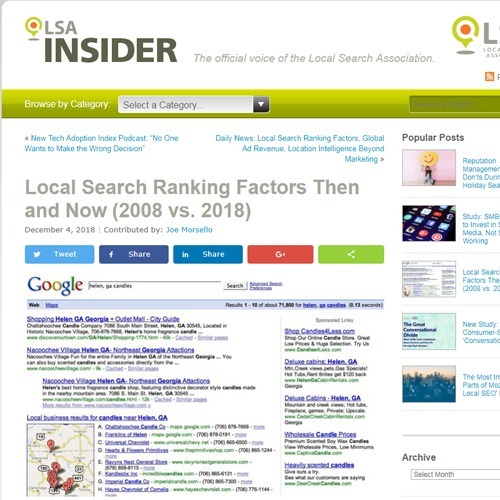 We continue to update the meta data and the website content for our client to align with critical keywords we are seeking to rank for on search engines. We created a series of paid search campaigns for our client and in just the second month we reached 158% return on ad spend. 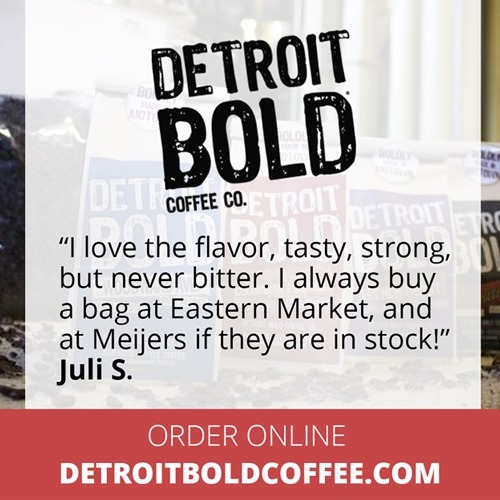 Within a 50 day period the ads drove 14% of all online orders. We created a series of display and search ads promoting the client’s upcoming event. In just 3 weeks we drove 16,451 impressions and 486 clicks with an average cost per click (CPC) at less than $0.21. 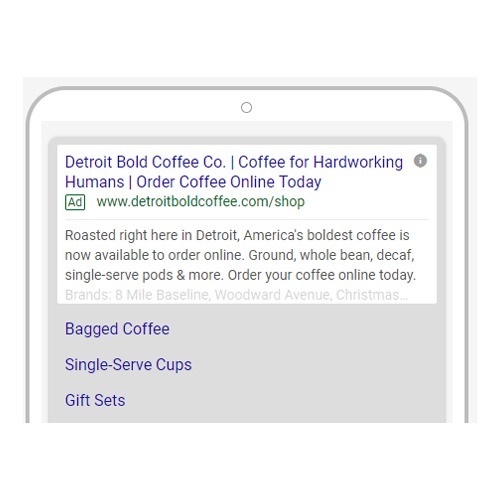 We created a Google Merchant Center account, activated a live product feed, and optimized a series of shopping campaigns on Google Ads. After just 50 days we saw a 183% return on ad spend (ROAS). 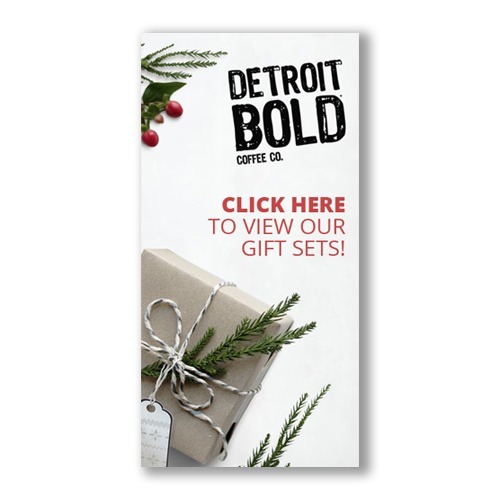 We designed a holiday display (banner) ad campaign featuring ads in multiple sizes using Google Ads to target previous website visitors with about $0.30 average cost per click (CPC). After just one month of managing a new client’s Facebook page, we drove a 2945% increase in engagement and a 600% increase in reach compared to the previous month’s performance. Improving customer service by answering questions, engaging and responding to customers directly on Facebook. 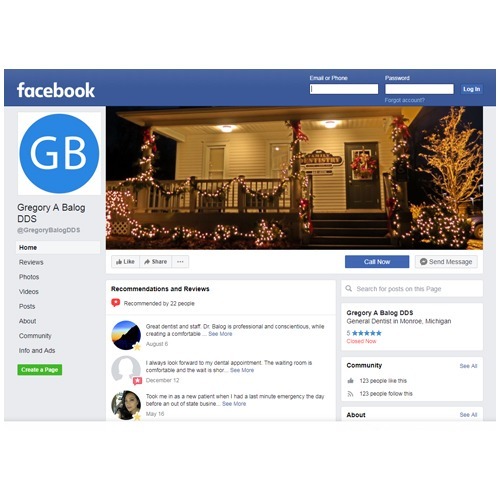 By incorporating more authentic photos taken from a client’s place of business, organic engagement on the client’s Facebook page grew rapidly. 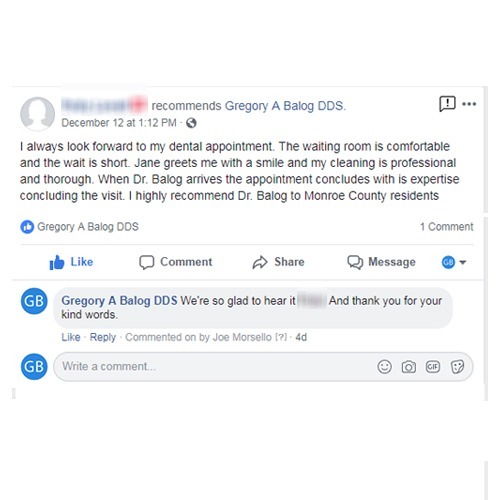 We designed custom graphics incorporating the client’s reviews found online, giving additional exposure to positive customer feedback. 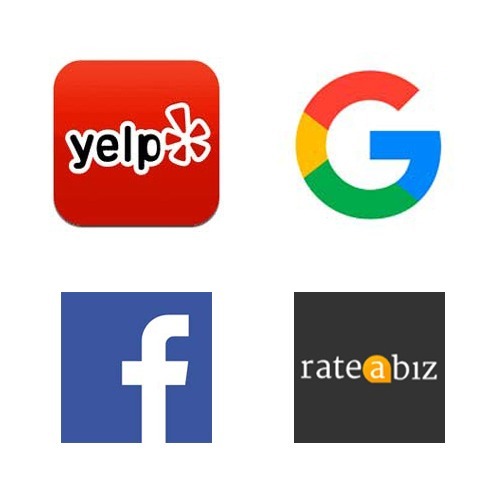 As new reviews come in, we help our client respond on the various review platforms including Facebook, Yelp, Google and Rate-a-Biz. 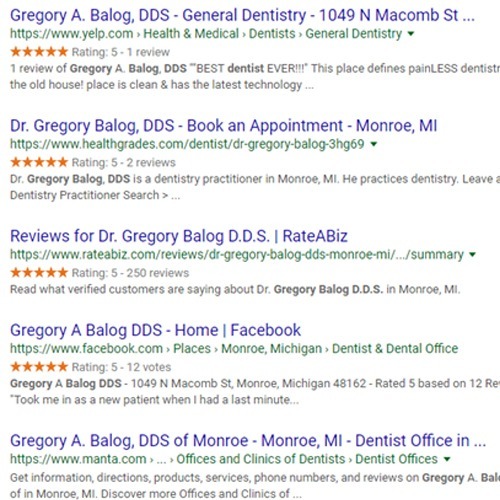 To make it easier for the client to see new customer reviews, we send direct emails highlighting recent reviews and identifying potential follow ups. 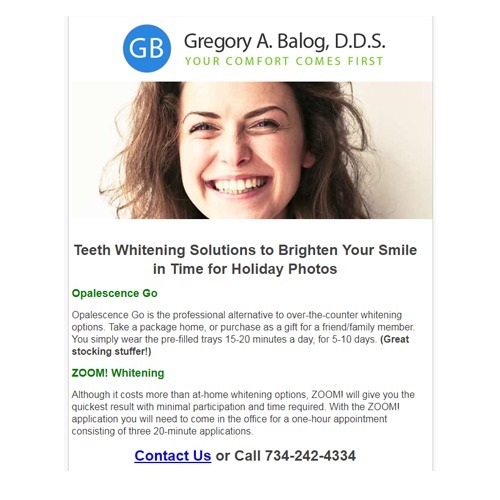 Helped a client sell out of a take home teeth-whitening product after just one email to patients. 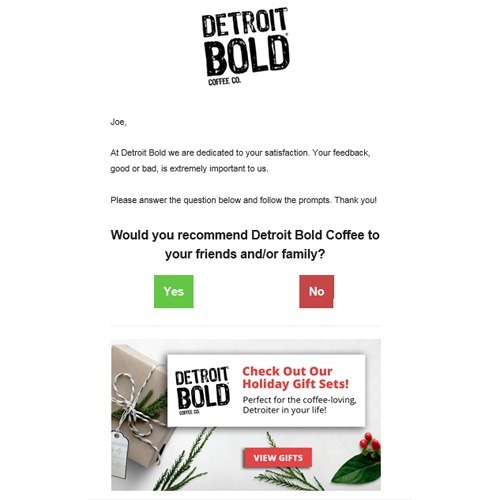 In an effort to improve communications and customer satisfaction, we send personalized emails requesting customer feedback. 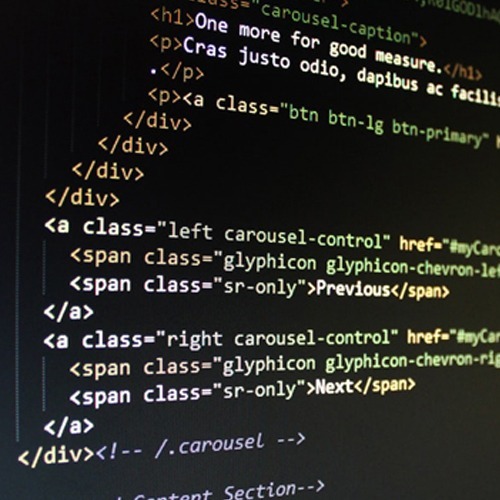 The latest email resulted in a 35% open rate and 21% click through rate. 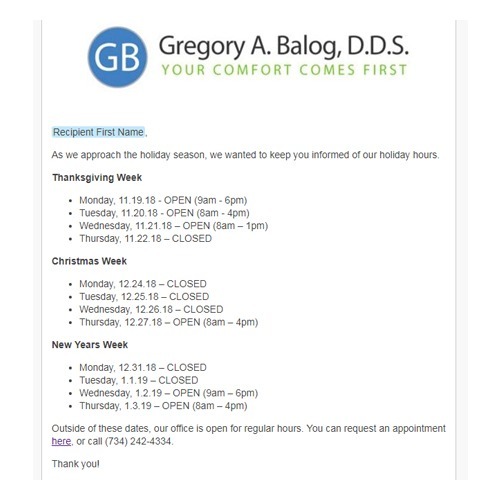 Improved customer communications by informing of upcoming holiday office hours, resulting in some inquiries for appointments. 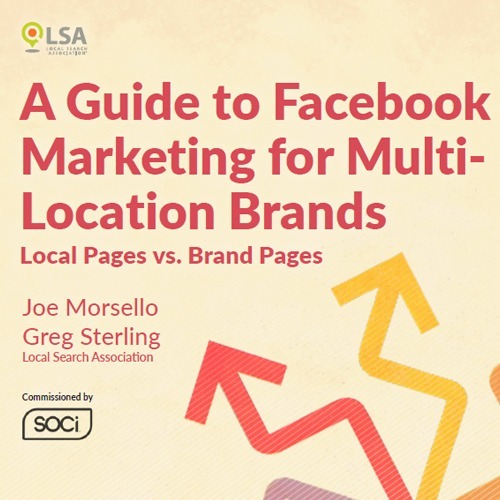 This report explores the difference between activity on a brand’s Facebook page vs. the pages of the brand’s individual locations/stores. 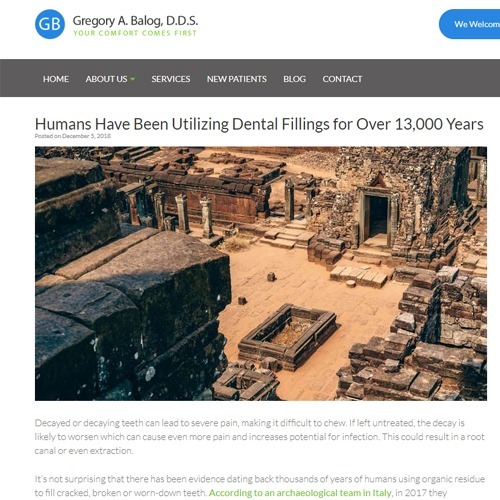 We write two posts a month for a client, providing patients and potential patients with useful insight into the field of dentistry. 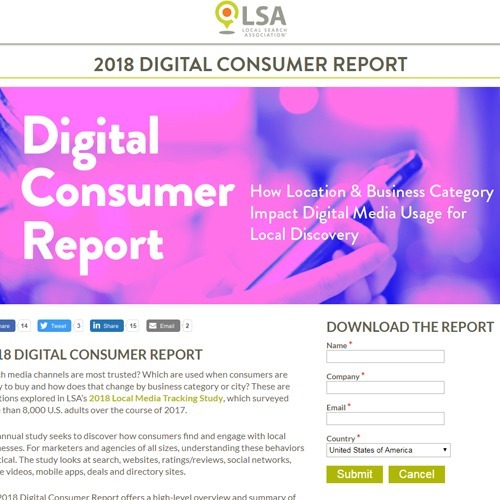 Using proprietary data from Local Search Association, this report explores the channels consumers use to find and engage with local businesses. We contribute a weekly column exploring various aspects of the digital marketing and small business marketing space. 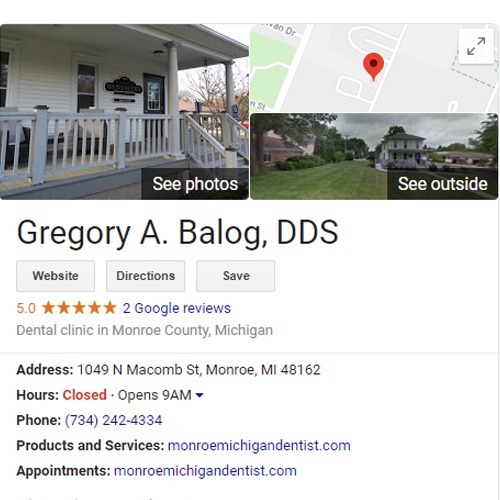 By providing more info to the client’s Google My Business listing (services, holiday hours, etc.) 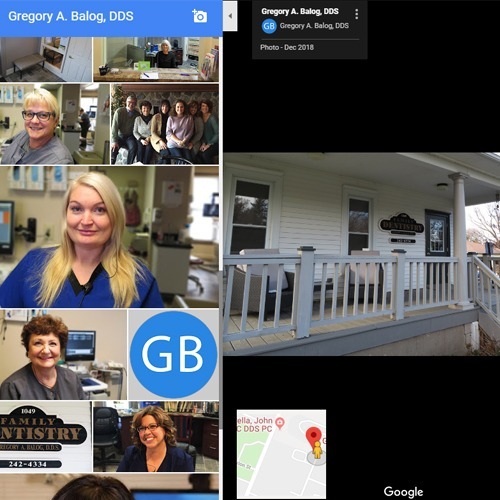 and making sure it was consistent with the client’s website and other listing sites, we saw a significant increase in views of the listing on Google Maps in just a few weeks. 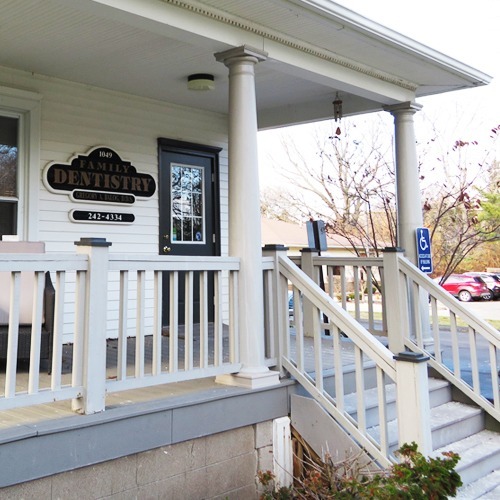 We posted a series of interior, exterior and staff photos to the listing and immediately saw more views on these photos. 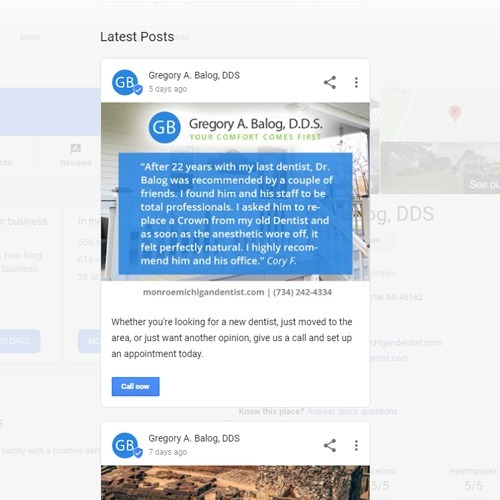 Using Google Posts, we help the client give Google more material to analyze for determining if the listing is relevant to particular searches.